India’s leading automotive giant Maruti Suzuki has launched a limited edition version of its one of the most popular models in the Indian market. The successful hatch back of Maruti Suzuki India, Estilo has been launched today. The company has announced in this connection “To pep up the market in the slow moving car bazaar, car market leader Maruti Suzuki has introduced an exciting limited edition of its popular model Estilo as EstiloNlive. The full package of 14 new features on the EstiloNlive is worth Rs. 23,000 and it is being provided at a special customer offer price of Rs. 15,000”. The new limited version of the Estilo comes with the same 1 liter petrol engine that is capable of generating 68 PS of power and maximum torque of 90 Nm. The engine will be accompanied with the same 5 speed manual transmission gear box. Thus it is clear that engine specifications are left untouched but the outer body had some modifications which differentiate the limited edition from other versions. A body graphics has been changed by adding a strip of the Nlive Theme on regular paint of the vehicle. Some other changes have also been made such as replacement of existing interior with new leather seat covers, replacing the previous music system with the brand new double – din sound system with USB connectivity and etc. 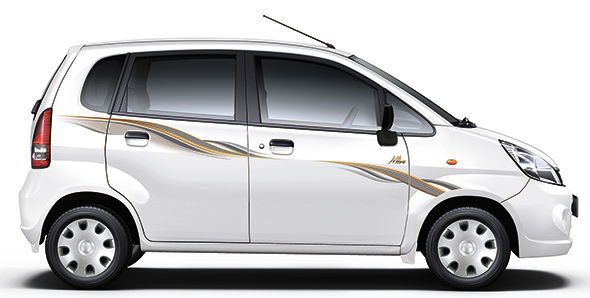 Maruti also included a beige parcel tray along with the wheel covers. Mr. Manohar Bhatt, the Marketing Vice President for the Maruti Suzuki India has stated “In recent months, we have had good success with limited editions of some of our recent models such as Wagon R, A – Star and Alto. We are confident that the EstiloNlive will be liked by the customers for its attractive new feature list”. Maruti Suzuki claimed that the limited edition EstiloNlive will promise mileage of 19 kilometers per liter and it has been reported to be tested positive by ARAI. The model has been priced in India for just Rs. 3.92 lakhs only.